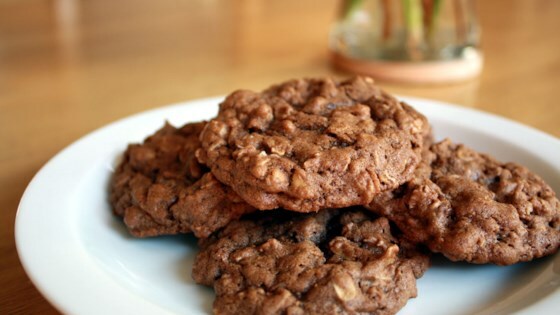 "Energy packed cookies that please even a finicky teenager! Raisins can be substituted for chocolate chips. " This recipe is fantastic. We made these as bar cookies in a 9x11 and baked for 20 min. They were nice and gooey when warm and set up great once they cooled.